Manchester based Social Sense has landed a historic licensing agreement which will take their leading programme R U Different? (www.rudifferent.co.uk) into up to 50 Danish schools for a minimum of 2 years. The Social Norms programme will be licensed as part of a £170,000 research project led by the University of Southern Denmark with the aim of improving attitudes and reducing risk taking behaviours in teenagers and adolescents. The project is set up as a large controlled trial and is one of the first projects in Denmark testing the social norms approach. Over the past 5 years the programme has engaged over 100,000 young people throughout the UK and measurably reduced risk taking behaviours in areas where the Interventions have been deployed versus a number of control samples. In Swindon for example, targeted Social Marketing campaigns have been able to improve and hold non-smoking rates at 93% among older year 9s in comparison to other areas which dropped from 91% to 88% between surveys. Similar results have been achieved in delaying or reducing drinking rates among teenagers. “We have been following Social Sense for some time and always admired their work. They are seen as the world leader in this field and we’re very excited to be bringing their knowledge, experience and innovative methods to Denmark. We see great potential in working together with Social Sense as specialist in social marketing campaigns in order to improve attitudes and behaviours in Danish adolescents. Co-founder and Managing Director of Social Sense Gary Lovatt said that the partnership represented a landmark day in their plans to expand the programme. 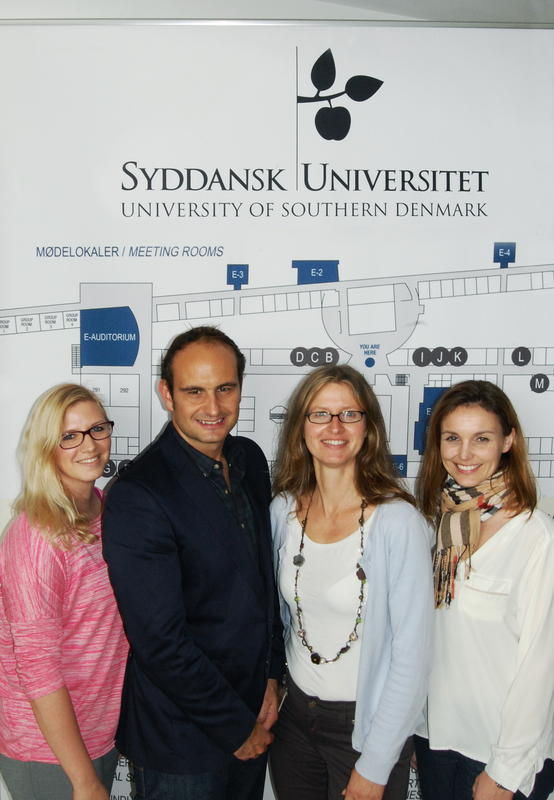 “We are absolutely delighted to have been chosen by the University of Southern Denmark as their leading licensor and adviser to the project. “In Denmark I can see there is a real commitment to investing in prevention and empowering young people to lead campaigns from the front in a bottom up, rather than top down way. There is also a willingness to embrace technology and evidence positive outcomes at a much higher level than ever before. “For us this is a golden opportunity to prove that our programme can be scaled up to generate measurable impacts in other parts of Europe and possibly the world”. Schools are now being contacted about the programme and the first surveys will take place in early 2015. This entry was posted in Public Health, Social Marketing, Social Norms and tagged Denmark, Europe, research project, risk taking behaviours, social marketing, social norms, teenagers, University of Southern Denmark.